Sorry I missed yesterday! I think posting will be going to almost every day for a while, as work on the book is starting to take up more of my time these days (woo-hoo!). But for today, we take another look at “Fire Man,” the episode of The Greatest American Hero that first aired on May 6, 1981. 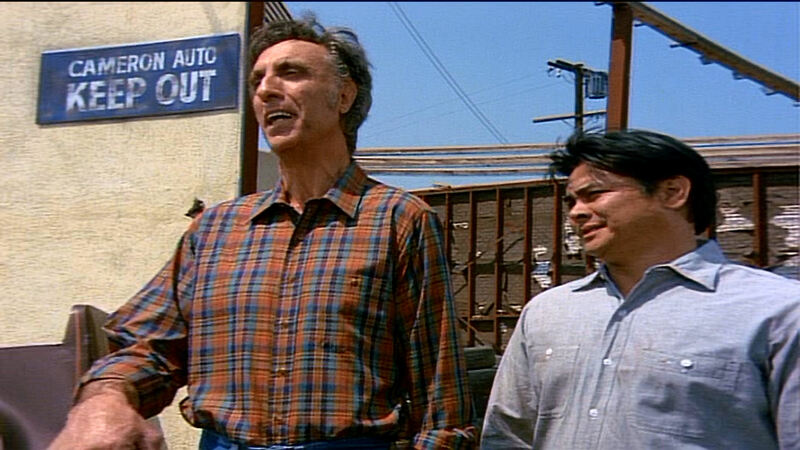 Shady auto yard operator Cameron and his sidekick are skeptical of the motives behind the appearance of a nosy Ralph Hanley (William Katt). They are about to rather forcefully remove Hanley from the premises, but he will be back (wearing red tights). Timothy made another memorable appearance on Hero the following year in the episode “The Resurrection of Carlini” (11/19/82). This entry was posted in Television and tagged fire man, the greatest american hero, the resurrection of carlini, timothy carey, william katt. Bookmark the permalink.